"At TCI-SEARCH we believe there is only one right way to manage our client’s business - and that's the way that best serves them. Our goal is to stay in step with our client and their business, to know and understand them and to recruit for them like an insider." 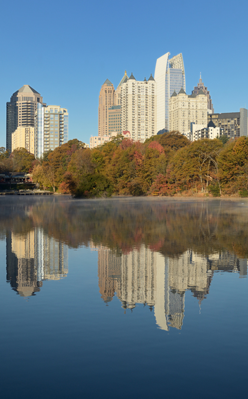 TCI-SEARCH is a recruiting firm headquartered in Atlanta, Georgia with a national recruiting footprint that spans the entire country. We are a company unique in the human resource consulting industry from methodology to process to candidate development and to pricing. We are your partner in working through the challenges of effective recruiting. We work closely with you, our clients, to understand the exact qualifications and skills that the candidate will need to excel in your corporate environment. This includes both the competency (job skills) needed to function effectively as well as the cultural match (values and character) needed to contribute, to grow and to excel in your company. We interview extensively and develop candidates thoroughly to ensure their experience and qualifications are appropriate for both the competency and the culture of your organization. Our goal at TCI-SEARCH is to build a long term recruiting relationship with our clients, to consistently deliver exceptional performance and unburden them from the recruiting tasks so they can focus their attention on the business ahead.